Livraria Lello & Irmão, also known as Livraria Chardron or simply Livraria Lello (Lello Bookstore) is a bookstore located in central Porto, Portugal. Along with Bertrand in Lisbon, it is one of the oldest bookstores in Portugal. 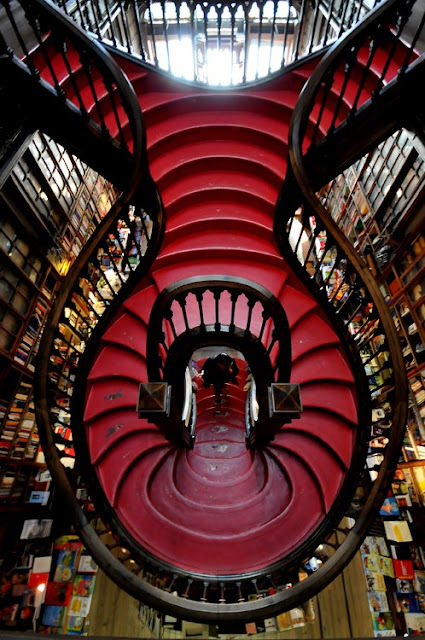 In 2011, the Australian Travel Guides and Guidebooks editor Lonely Planet classified Livraria Lello as the third best bookstore in the world. The actual company goes back to the establishment of the "Livraria Internacional de Ernesto Chardron" in 1869, down in the Clérigos street. After the early passing of the founder at the age of 45, the firm was sold to "Lugan & Genelioux Sucessores". In 1881, José Pinto de Sousa Lello established a bookstore in the nearby Almada street. In 1894, Mathieux Logan sold the old Chardron Library to José Lello which, holding a partnership with his brother Antonio Lello, kept Chardron with the registered name of "Sociedade José Pinto Sousa Lello & Irmão", which then would be referred to as "Livraria Lello e Irmão" (1919).